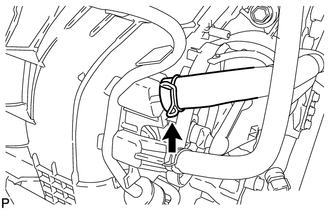 (a) Remove the throttle body assembly (See page ). 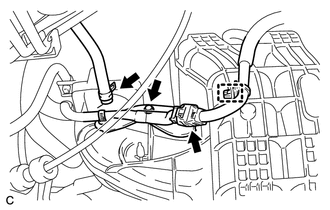 (a) Disconnect the 2 vacuum hoses, 2 union to connector tube hoses, clamp and connector. 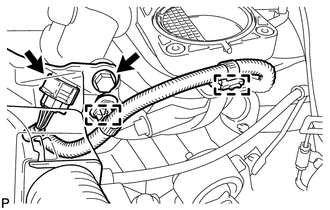 (b) Remove the bolt and vacuum switching valve assembly (for ACIS). (a) Disconnect the No. 2 ventilation hose from the intake manifold. 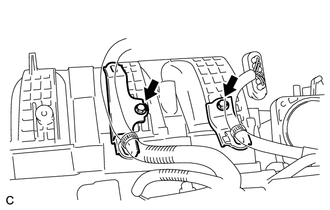 (a) Remove the union to connector tube hose from the intake manifold. (a) Remove the 2 bolts and 2 wire harness brackets. 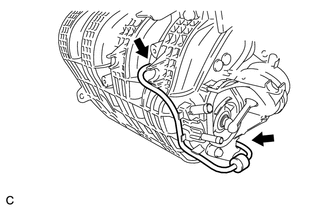 (b) Disconnect the fuel vapor feed hose, clamp and connector. (c) Remove the bolt and wire harness bracket. 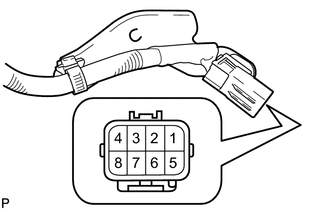 (d) Apply battery voltage to the terminals of the connector to close the tumble control valves. 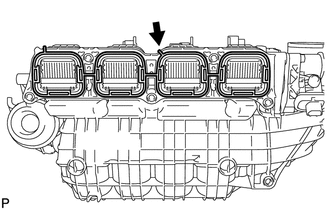 If this procedure is not performed, the tumble control valves may be damaged when the intake manifold is removed. (f) Detach the 2 clamps from the intake manifold and bracket. (g) Disconnect the intake air control valve actuator connector. (h) Remove the 6 bolts and intake manifold. 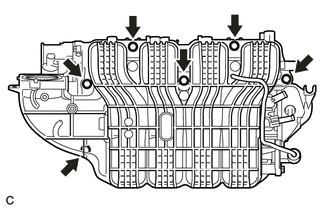 The tumble control valves may be damaged if they are not closed before installing the intake manifold. 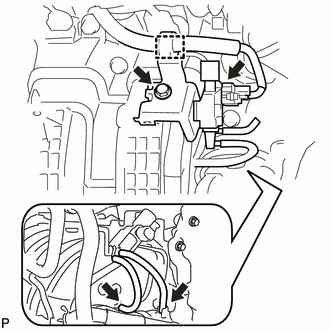 Connect the battery to the terminals of the actuator to operate the motor and close the valves (See page ). (i) Remove the intake manifold gasket from the intake manifold. 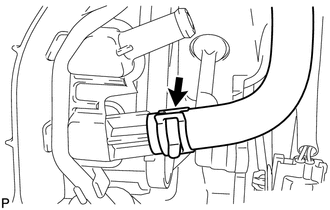 (a) Disconnect the 2 vacuum hoses from the intake manifold and remove the check valve. 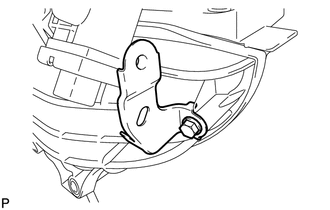 (a) Remove the bolt and wiring harness clamp bracket. 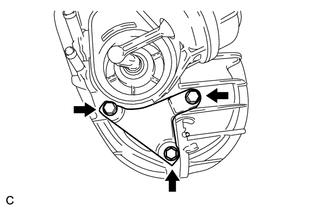 (a) Remove the 3 bolts and engine mounting damper.